PT Bank BRISyariah Tbk - BRIS hereinafter referred to as "BRISyariah" is a rapid growing public-listed company in Indonesia, running business in sharia banking industry. BRISyariah offers a wide range of general banking products based on the principles of Islamic banking. BRISyariah is listed on the Indonesia Stock Exchange (IDX) on 9 May 2018 and its shares are traded under reference code BRIS. BRISyariah is a member of PT Bank Rakyat Indonesia (Persero) Tbk (BRI Group). At present, At present, BRI Group - the second largest state-owned banks in Indonesia - holds 73% shares in BRISyariah. Other 27% remaining shares in BRISyariah was owned by by Yayasan Kesejahteraan Pekerja BRI (9.965%) and Public (17.035%). 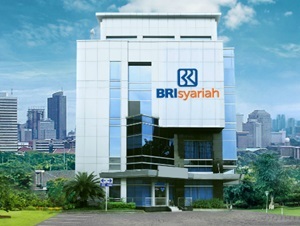 Based in Jakarta, BRISyariah has 54 branch offices, 207 sub-branch offices, 11 cash offices, 28 cash office service offices, 1,044 sharia service offices and 554 ATMs spread in all parts of Indonesia (as of December 2018). BRISyariah's head office is located at Jl Abdul Muis No 2-4 Jakarta Pusat 10160. The financial performance of BRISyariah in 2017 showed a a positive results. According to information found in PT Bank BRISyariah Tbk Annual Report 2017 as cited by JobsCDC.com, BRISyariah managed to record total assets of Rp 31,543.38 billion in 2017. This number is up from Rp 27,687.18 billion in 2016 or up 13.92% year on year (YOY). Referring to its annual report, BRISyariah maintains total third party funds of Rp 26,373.41 billion in 2017. This number is up 14.70% from Rp 22,991.78 billion in 2016. Maximum age of 25 years old for S1 and 28 years old for S2. Have completed the study with minimum S1 as evidenced by a academic certificate or temporary degree verification statements (SKL). Have a GPA score min 3.00 (scale 4.00) for S1 and min 3.20 (scale 4.00) for S2. Graduated from any field except: Health Science, Medicine, and Midwifery. Preferably from Economic, Business Administration, Engineering, MIPA, Agriculture, Animal Husbandry, Forestry, Psychology and Law. Have minimum TOEFL-ITP score of 400. Minimum height of 165 cm (Male) and 158 (Female). Willing to undergo bond department for 5 years since commencing trainee (education period). Initial placement as Account Officer. Willing to be relocated in all office networks of BRISyariah throughout Indonesia. JobsCDC.com now available on android device. Download now on Google Play here. Please be aware of recruitment fraud. The entire stage of this selection process is free of charge. PT Bank BRISyariah Tbk - SODP Batch VII Yogyakarta BRISyariah July 2018 will never ask for fees or upfront payments for any purposes during the recruitment process such as transportation and accommodation.